The French company Vuarnet uses mineral glass in their lenses, similar to how NASA uses mineral glass in their telescopes. 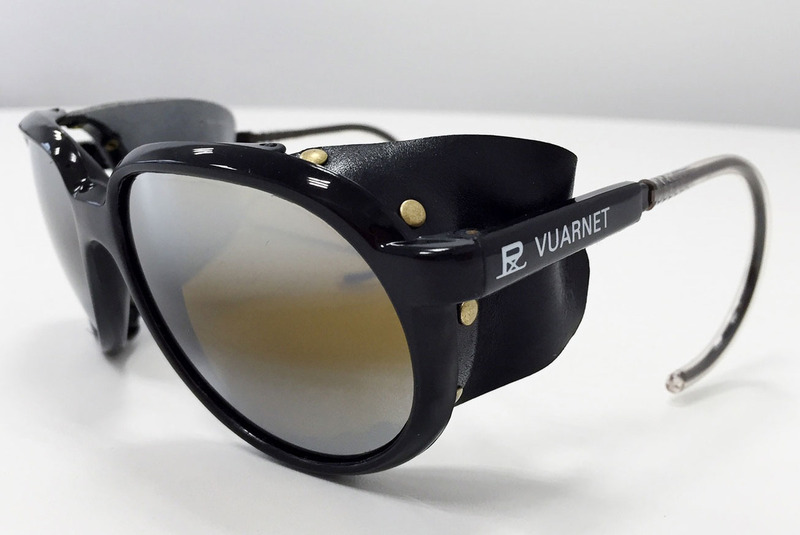 “Vuarnet makes their own mineral lenses near Paris out of glass, which provide a clearer view than plastic”, states Lionel Giraud, CEO of Vuarnet. These legendary high–end mineral lenses provide exceptional optical quality, with 100% UV protection. Vuarnet has reinvigorated the Glacier model with the new 2015 Glacier Eclipse sunglasses (retailing for $600) that can be purchased on Westerlind.com. These elegant and sporty aviator frames feature easy-off leather side shields (that help with peripheral vision) and a matching leather cord; transforming this iconic ski sunglass into a sleek city style.